The Government of Ghana has committed, under its National Electrification Scheme (NES), to improve living standards and economic opportunities by connecting more households to the National Grid. The NES aims to secure a reliable electricity supply to all major communities by 2020. However, demand for energy is increasing by 10% per annum and current supply is highly unreliable. In 2013, businesses reported an average of 8 power outages per month despite an increase in energy imports. Unreliable power constrains economic growth, increasing operating costs for businesses and deterring investment. Cenpower Generation will design, construct and operate an efficient 350MW combined-cycle gas turbine plant (the Kpone Independent Power Plant). Once constructed, the Kpone IPP will increase dependable installed generation capacity by 13% and meet the projected energy needs of over 8 million Ghanaians. 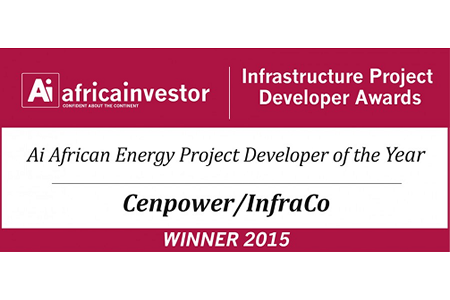 The project was initiated by a consortium of Ghanaian investors (Cenpower Holdings Ltd). 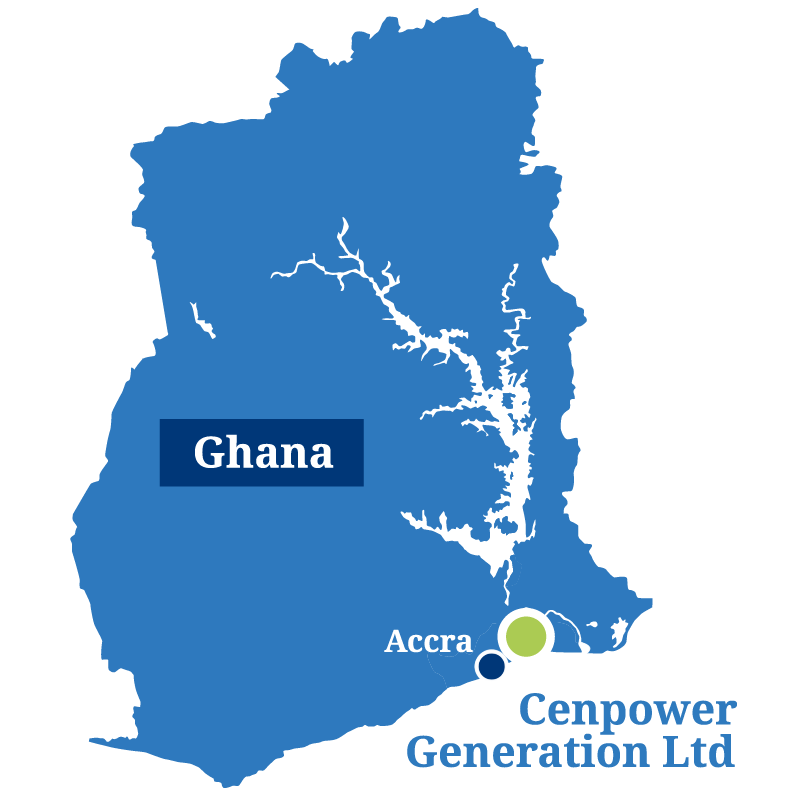 Cenpower approached InfraCo Africa in 2005 as they were struggling to interest private sector investors: the Ghanaian energy market was newly de-regulated and the project was to be Ghana’s first greenfield, project-financed IPP. The risks and costs associated with early stage development of this project were therefore high. InfraCo Africa, through our principal developer eleQtra, was uniquely positioned to help. With our support, detailed engineering, social and environmental studies could be completed, a Power Purchase Agreement negotiated and procurement of an EPC contractor could commence. This demonstrable progress enabled us to bring the AFC into the project in 2010. Together we turned this pioneering, complex project into a bankable, government supported initiative. By 2014, we had successfully established Cenpower Generation Ltd and mobilised over US$903m in financing from a spectrum of African (70%) and International (30%) investors. Construction started in January 2015. The Kpone IPP will be the first and largest of its kind in Ghana. In order to bring the project to commercial reality, we therefore needed to first build capacity within Ghana’s energy sector. We secured the first ever generation license (License 001) and are the first IPP to take fuel supply risk and establish a fuel financing facility for the Electricity Company of Ghana (ECG). The project now serves as a model for independent power generation across the region. 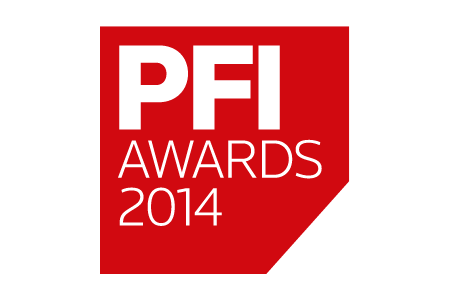 Cenpower’s outstanding achievement was recognised in 2014 when the Project Finance International (PFI) Awards presented the project with their ‘African Power Deal of the Year Award.’ We had succeeded in turning a project unable to attract private capital into one which is recognised as representing excellence and quality by the project finance community. 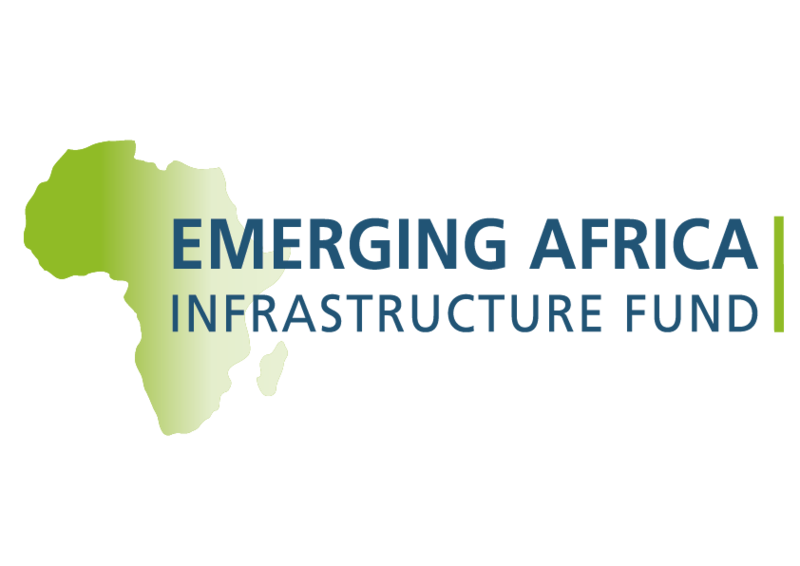 Funding has been provided by Cenpower Holdings, Africa Finance Corporation, Sumitomo, Mercury Power, Emerging Africa Infrastructure Fund and FMO. InfraCo Africa’s work with Ghana’s government and electricity sector has helped to drive forward their National Electrification Scheme. Kpone IPP will provide additional base load power; improving supply to businesses and communities, reducing reliance on expensive energy imports and facilitating economic growth. As a consequence, this project will make an important contribution to poverty alleviation in Ghana. Cenpower Generation’s legacy will go beyond reliable power. The project attracted investment from the Rand Merchant Bank and Sumitomo, large blue-chip companies who had not previously invested in Ghana but are now looking to expand their involvement in the region. Likewise, the Development Bank of Southern Africa sought and gained parliamentary approval to expand their mandate and lend outside of South Africa for the first time. This project has mobilised new investment into Ghana and laid the foundation for further private sector participation. We have now sold our remaining equity in Cenpower Generation allowing us to recoup and re-invest the funding provided by our Donors into new projects. The cycle of development can continue.